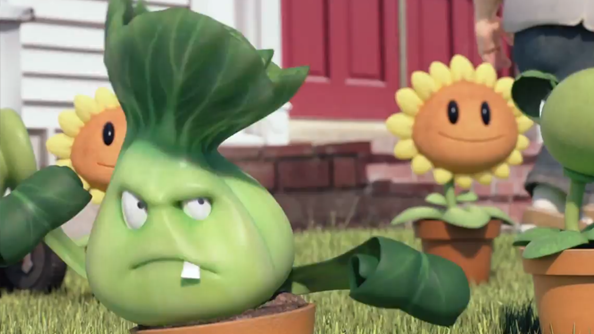 Plants vs. Zombies: Garden Warfare 3 has been leaked. A product description on Amazon has revealed the existence of the game. Here are some more upcoming PC games. 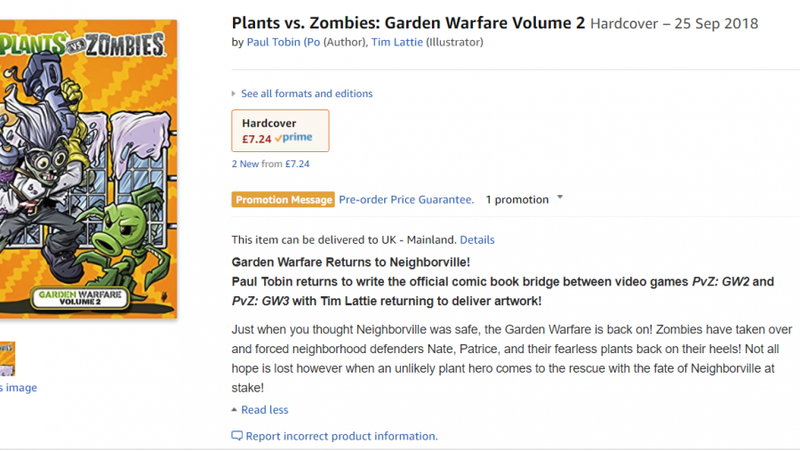 The description for a Plants vs. Zombies comic book – Plants vs. Zombies Garden Warfare Volume 2 – reads “Paul Tobin returns to write the official comic book bridge between video games PvZ: GW2 and PvZ: GW3.” The latter obviously refers to a third upcoming game in the Plants vs. Zombies series. In case that description is changed at some point in the future, you can check out how it used to look below. There’s no official word on the existence of a third Garden Warfare game from EA, but it’s somewhat likely that it’ll be announced at this year’s E3. The company has mentioned that it will be revealing a number of new titles at the expo this summer.